This is the wonderful variant of the evening manicure. The red nails always are suitable for any image. 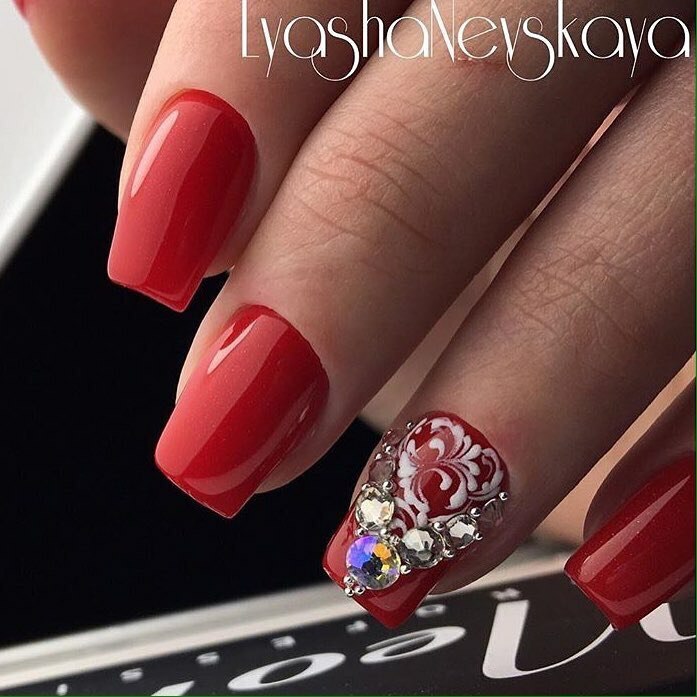 Such idea of nail art looks especially nice on the square nails of the middle length. Cover neatly all your nails with classical red nail polish. Make the special appeal of our manicure on the nail of the ring finger. Glue the rhinestones in the geometrical technique and draw a zigzag pattern with white.